This statistic depicts homeowners most recent home renovation projects expected budget worldwide. 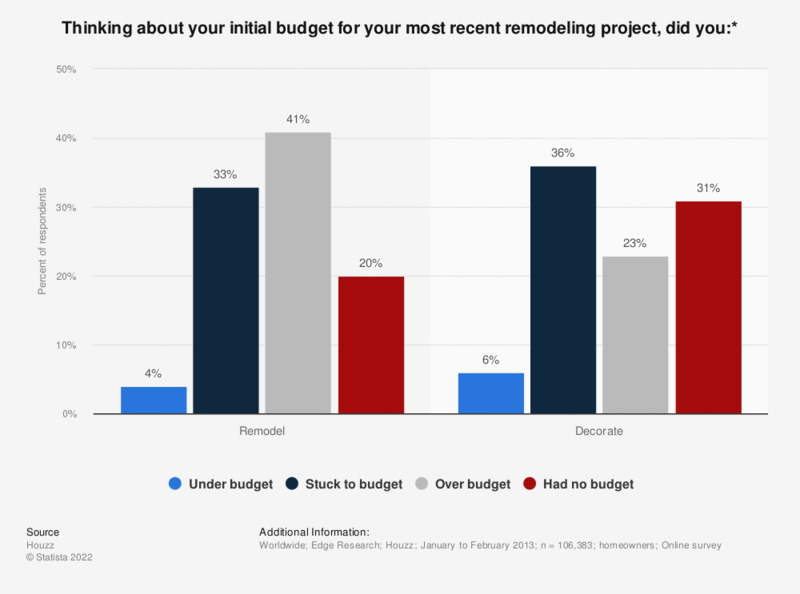 The survey revealed that 41 percent of homeowners most recent remodeling renovations went over budget. * Projects completed in the last five years.